Amid interwoven and oft-cited concerns about reliability, cybersecurity, funding and aging infrastructure, this year’s survey results again reveal that electric industry leaders view risk-based planning, long-term budgeting and preventive maintenance as key to ensuring that asset health and reliability are sustained. When it comes to utility asset management, the industry is increasingly adopting risk-based, proactive approaches to planning and investment prioritization to better capture asset knowledge and monitor the condition of critical equipment while supporting budget needs in a more targeted manner. According to survey data, nearly 40 percent of survey respondents say they are able to target maintenance and capital replacement on their highest risk assets through the implementation of a proactive risk-based prioritization approach. While encouraging, nearly 20 percent report that they rely on reactive strategies that are dependent just on institutional knowledge and subject matter expertise. One major concern with utility asset management is that essential data and knowledge may disappear when workers do — a very real situation for those utilities whose current workforce may retire within the next five years. In fact, about 58 percent of industry professionals expressed concern that as new employees replace the current aging workforce, the condition and configuration of the most important assets may not be documented well enough to allow the new employees to effectively maintain critical systems. Two solutions present themselves - capturing this information and storing it in an easily accessible format, as well as deploying remote monitoring on critical assets. These are both key investments utilities can make now to better understand asset health and performance and in so doing, prevent future problems. With an eye on reliability and resiliency improvements, the electric industry continues to look closely at ways to better monitor and gauge asset health with performance, cost and risk at the center of all sound and balanced utility asset management strategies. As aging infrastructure is replaced with “smart” components, utility operators will require advanced control and distribution management systems that can securely utilize new digital technology and asset data to inform system operations. According to survey results, a very significant three-quarters of respondents indicated that they are swapping aging infrastructure with smart two-way communication-capable assets rather than like for like replacements. 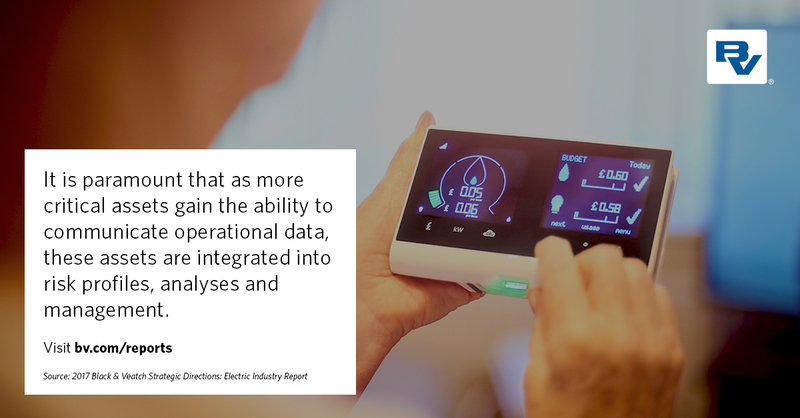 At the heart of this electric industry and business model shift is the need for utilities to collect high-quality asset data to improve strategic and tactical decision-making related to their energy delivery assets. The key focus is on improving reliability and levels of service to customers, whose expectations of what ‘good service’ means have been steadily increasing over recent years.